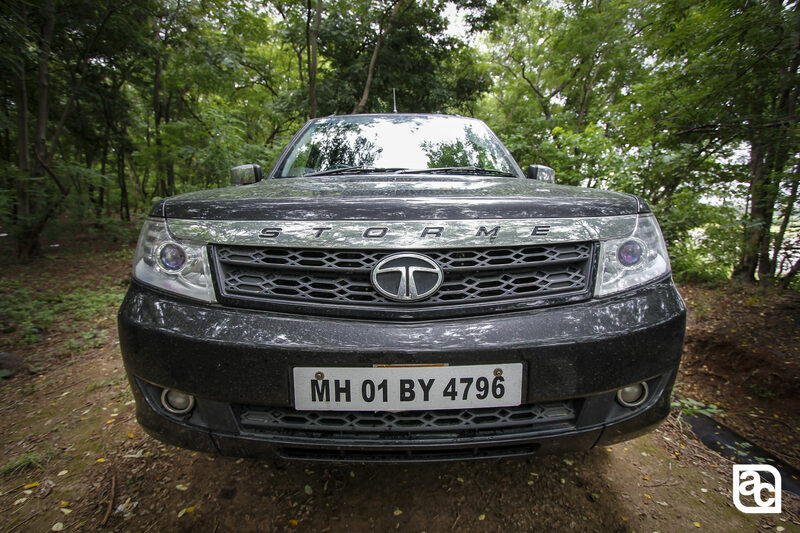 Team AutoColumn get hands on the 2015 Tata Safari Storme for review. 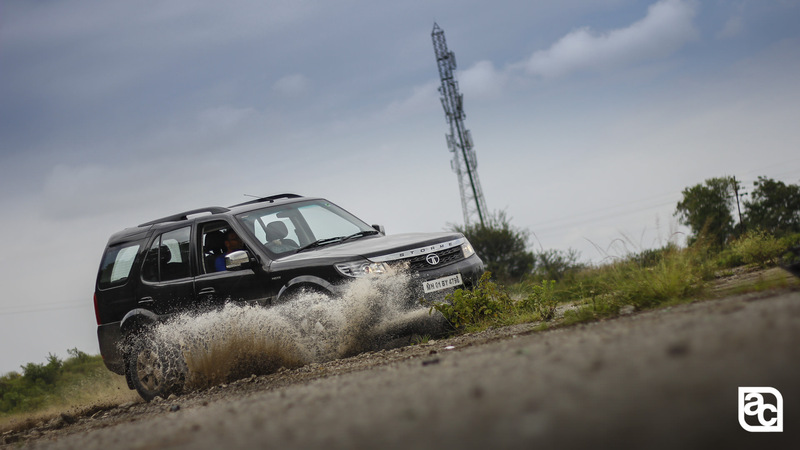 Read the most comprehensive review of 2015 Tata Safari Storme and the best images of the 2015 Tata Safari Storme ever in action. 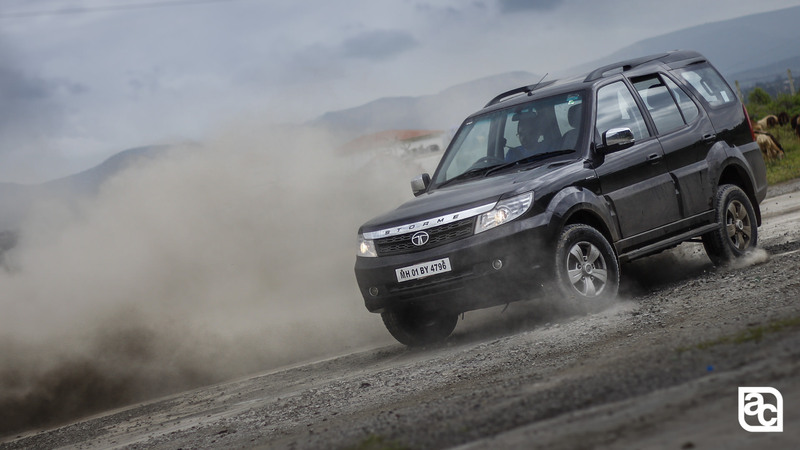 2015 Tata Safari Storme review by Team AutoColumn. 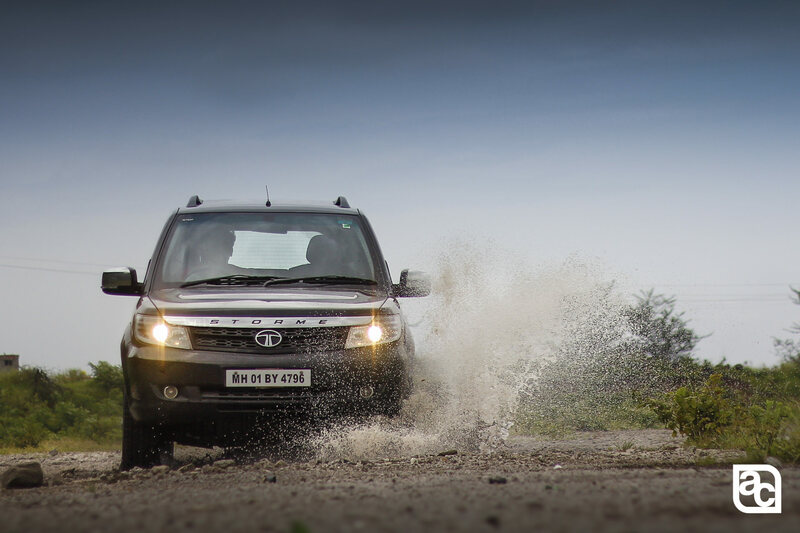 Tata Safari. 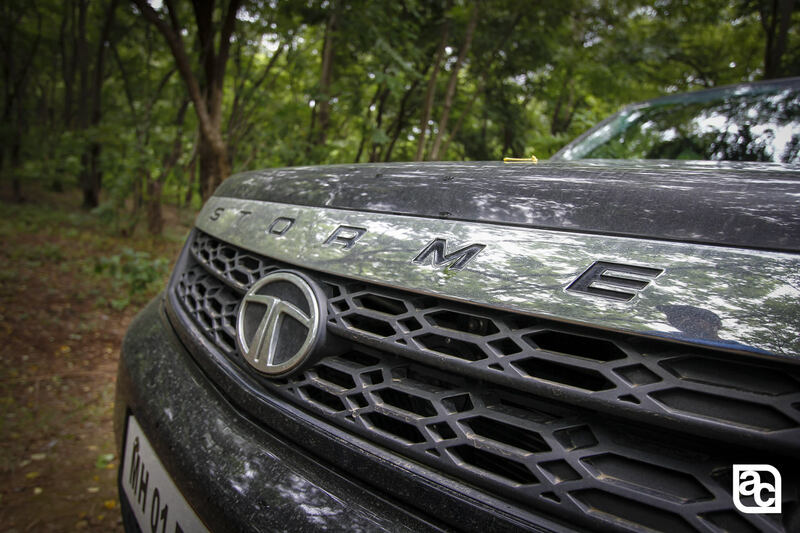 A name that will light up the eyes of most petrol-heads currently in their 30’s and 40’s. 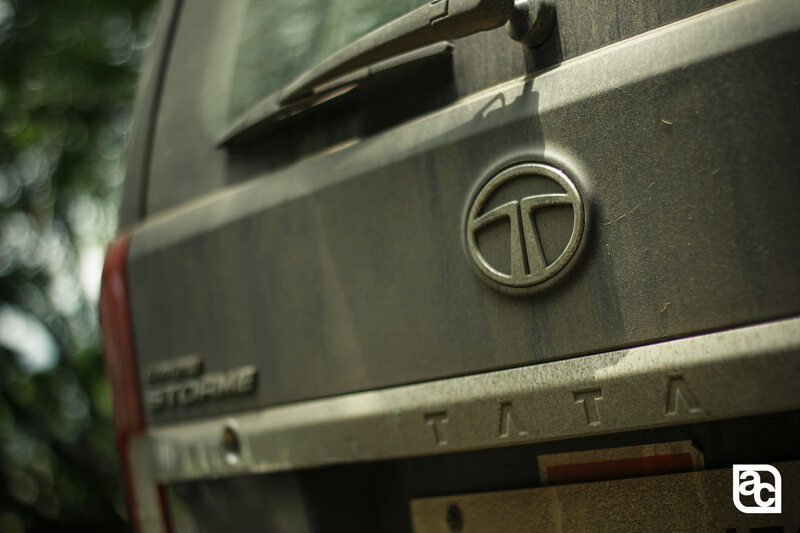 For these people, Tata did something unimaginable, which became the talking point of all the youngsters discussing automobiles. The year 1998 made ‘Safari’ a household name. Urban dwellers, as well as people from pastoral landscapes, were curious about this new ‘thing’. Even I, as a kid wanted one!! 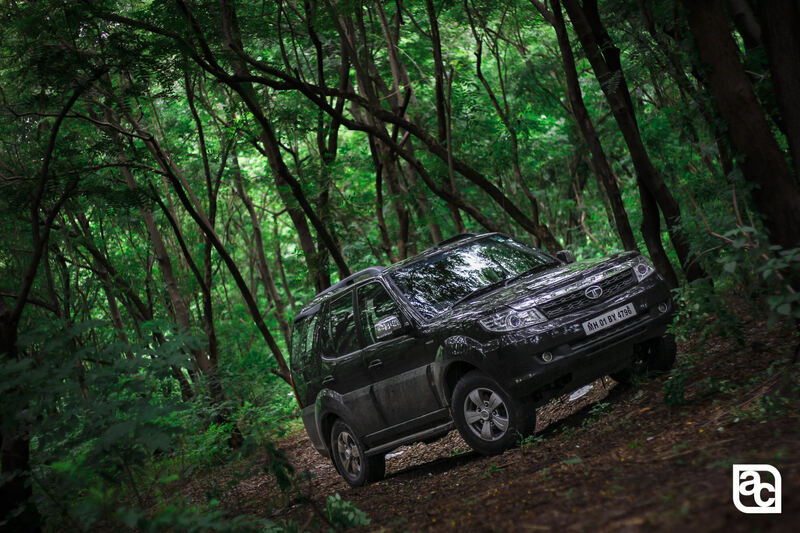 It has been a good 18 years since the launch of Tata Safari; first ever SUV available in the market, which made Indians fall in love with big cars, the love of which still holds, and is in fact growing! 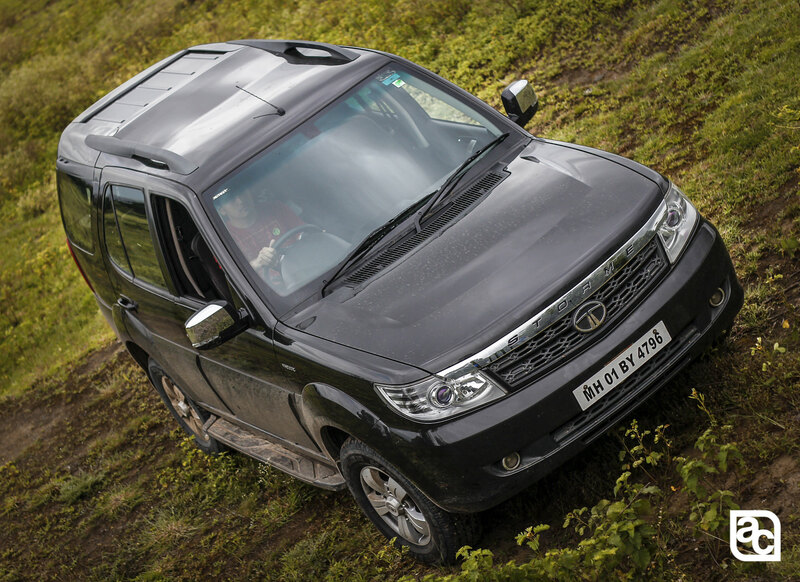 Over a couple of generations and numerous facelifts, we have the 2015 Tata Safari Storme. The first question that came to my mind was why STORME? Do I pronounce it ‘storm’ or as ‘store-may’? The clarification came in stating it was pronounced as ‘Storm’. Out of curiosity, I googled for ‘Storme’ and found out the meaning. Guess what, Storme means ‘one with an impulsive nature’!!! 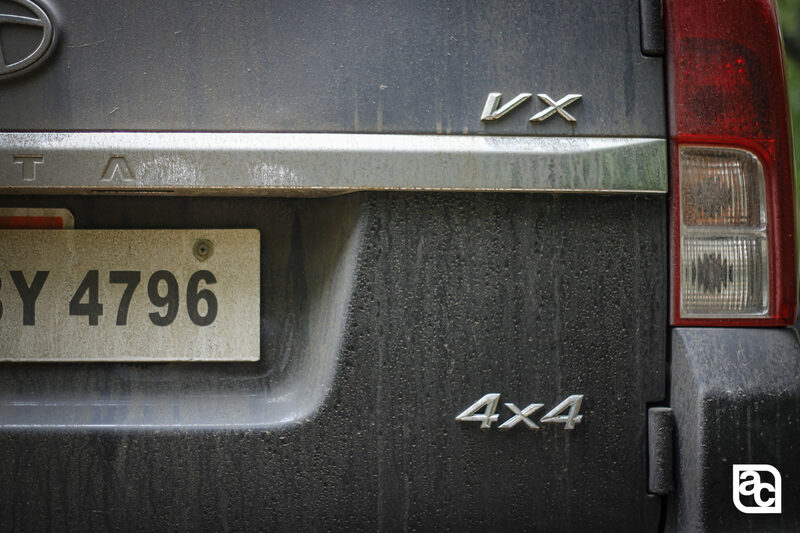 The name itself illustrates the behavior of the car. 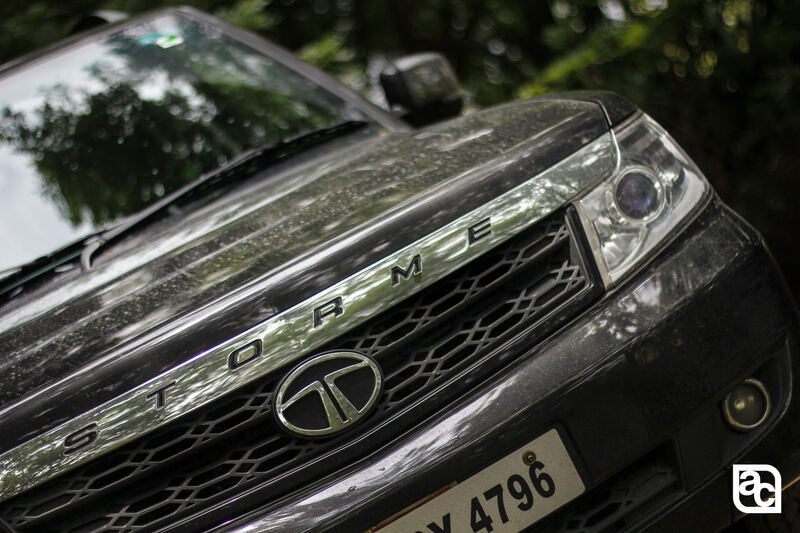 Over a period of four days, we had varied experiences with the 2015 Tata Safari Storme. The first thing I noticed was the stance; it looks imposing, if not intimidating. 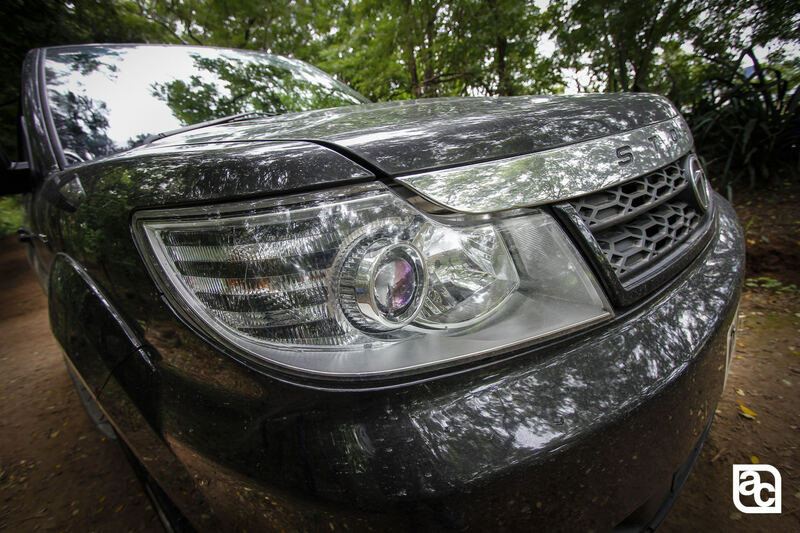 On the exterior, this facelift plays the game of ‘Spot the Difference.’ Easily recognizable is the honeycomb grill at the front inspired from the British cousin Land Rover. 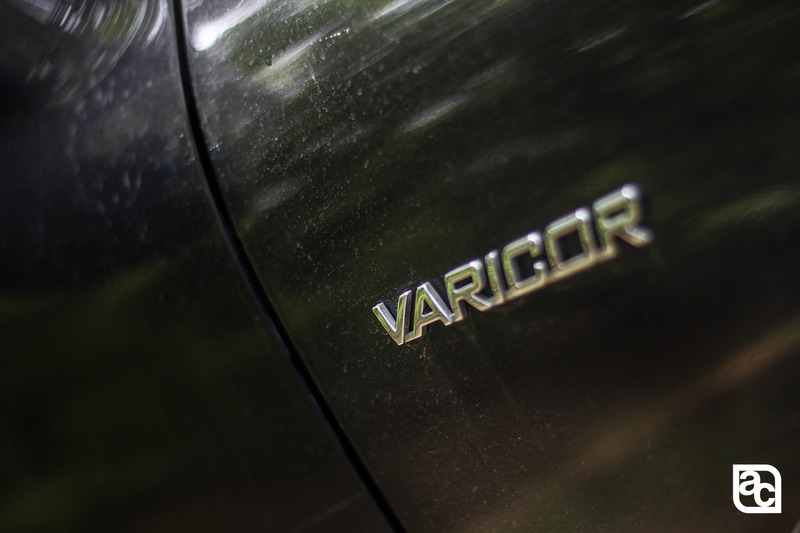 The ‘VARICOR’ branding on the side is the only other change I managed to find over the 2014 model. 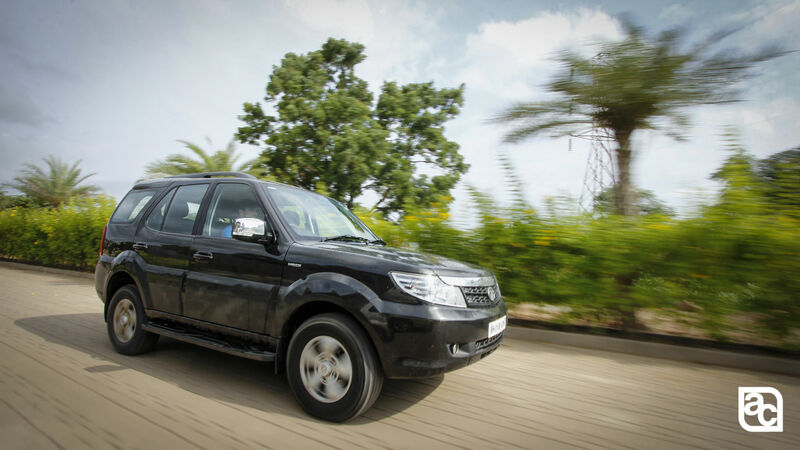 Tata has never had any problems on the space and this one tows the line. 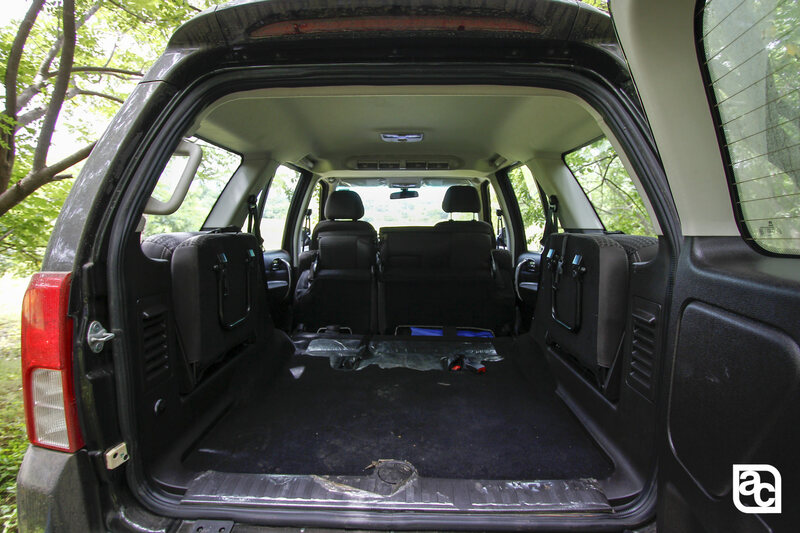 The car sits so high, getting in the seating position is a two-step process which can get cumbersome for daily commute but would be blessing once you go off-road. 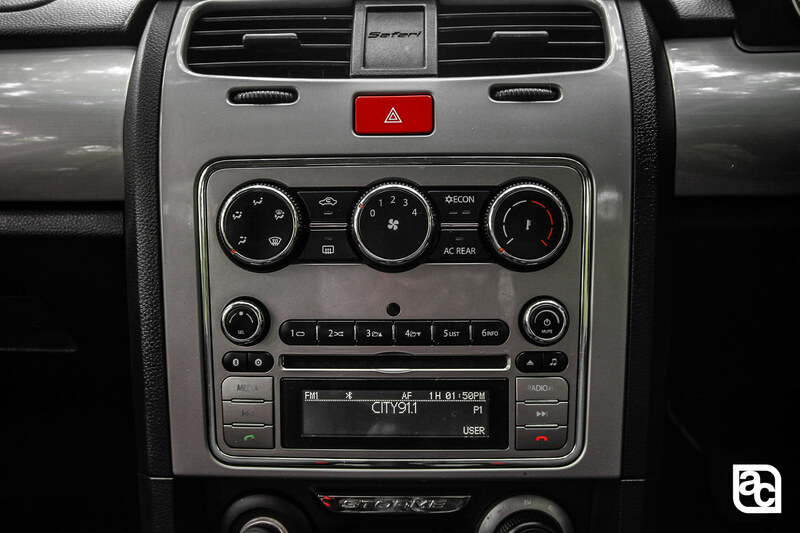 On the interior, things have changed a bit for good. 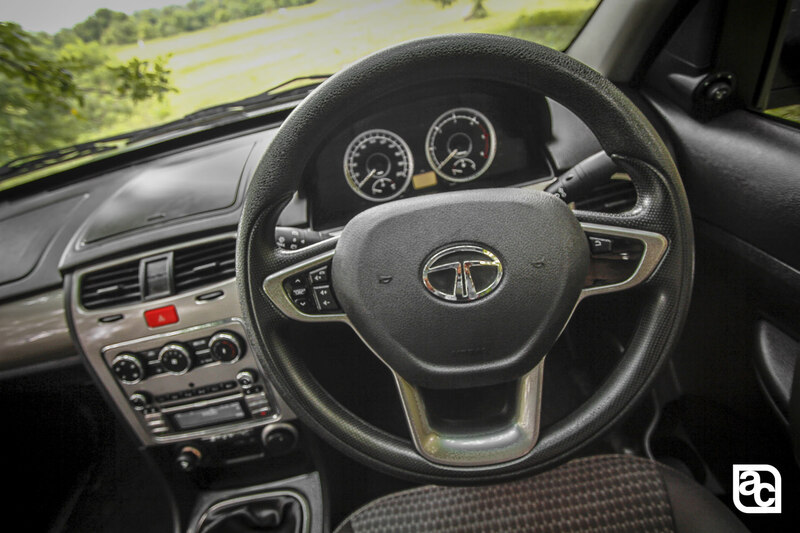 The steering wheel is new. Ohh wait, it is actually from the Bolt/Zest!! But I am not complaining. 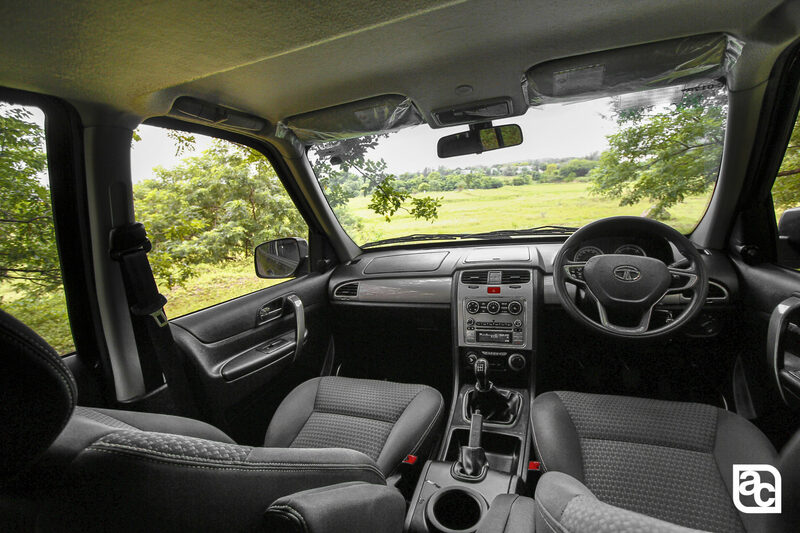 We have finally got a few steering mounted controls in 2015 Tata Safari Storme. The plastics are better, but not as good as the competition. The black and silver combination does not work for me, but looks okay nonetheless. 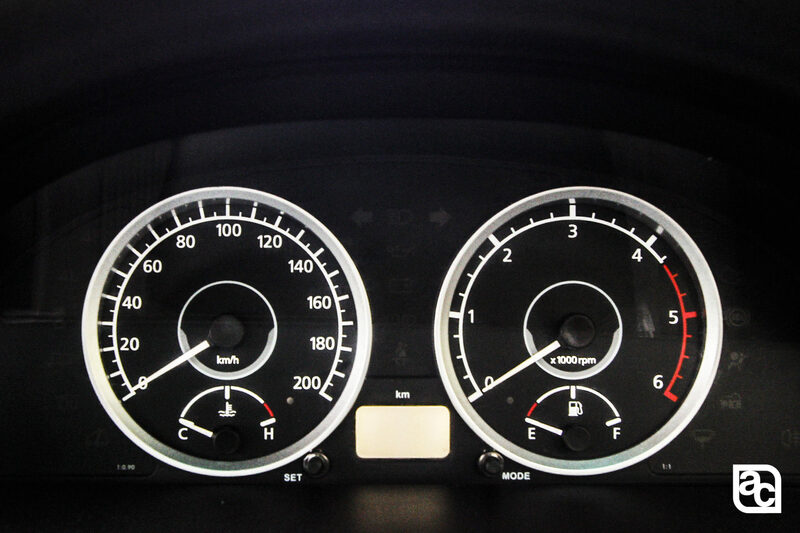 The dashboard feels uninspired and boring and unimaginative…. very 20th century. 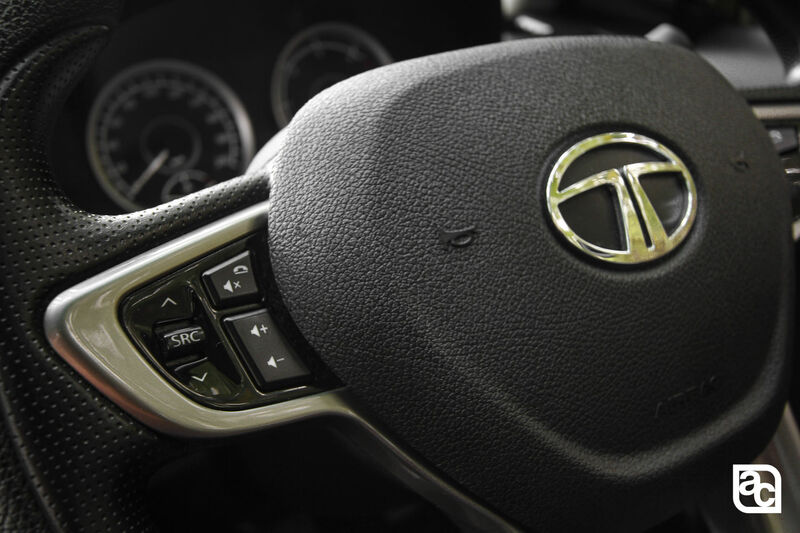 In the age of touchscreen infotainment systems, Tata is providing a single DIN stereo system which is just unacceptable if I, as a customer am shelling out 14-15 lakhs. The other thing that annoyed me was the doors did not shut in one normal push. The doors felt like of an armoured car needing lot of strength to shut. 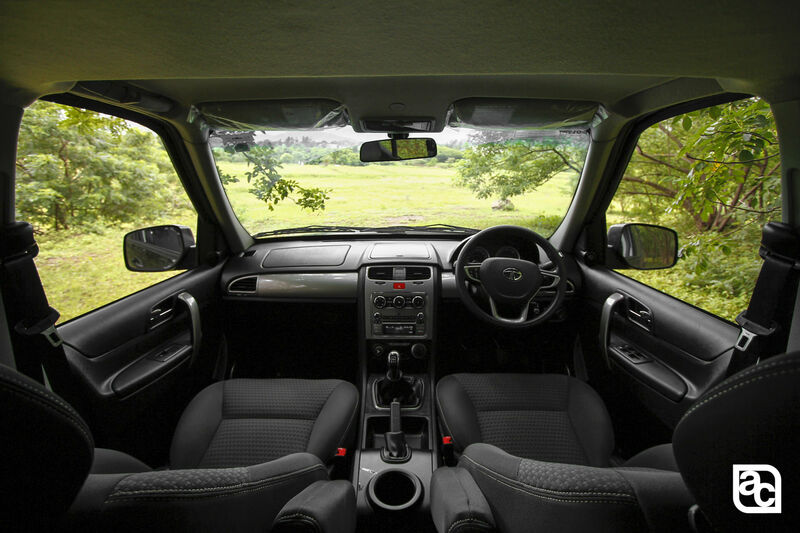 On the positive side, driver seating position is excellent, giving you a nice view of the immediate surroundings. 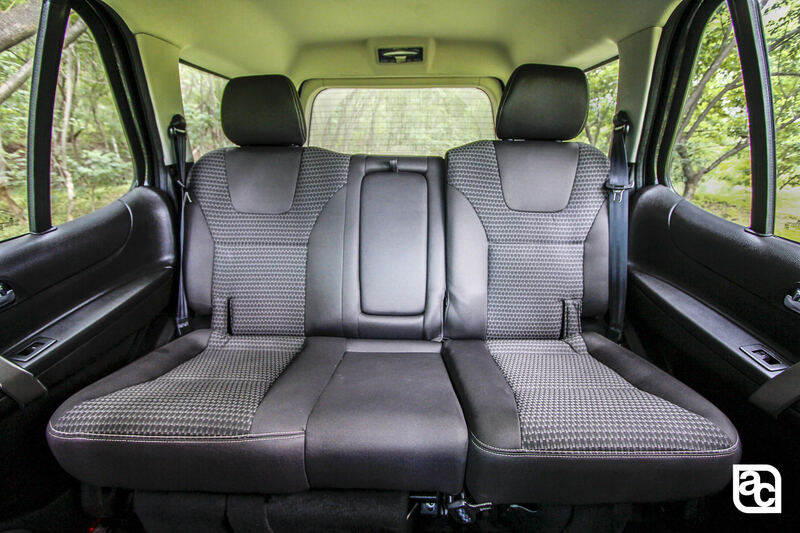 In the old car, the rear seat has always been a comfortable place to be in, and we are happy to report that the new one carries the legacy forward.My co-passengers from AutoColumn also gave a thumbs up for space in the second row. 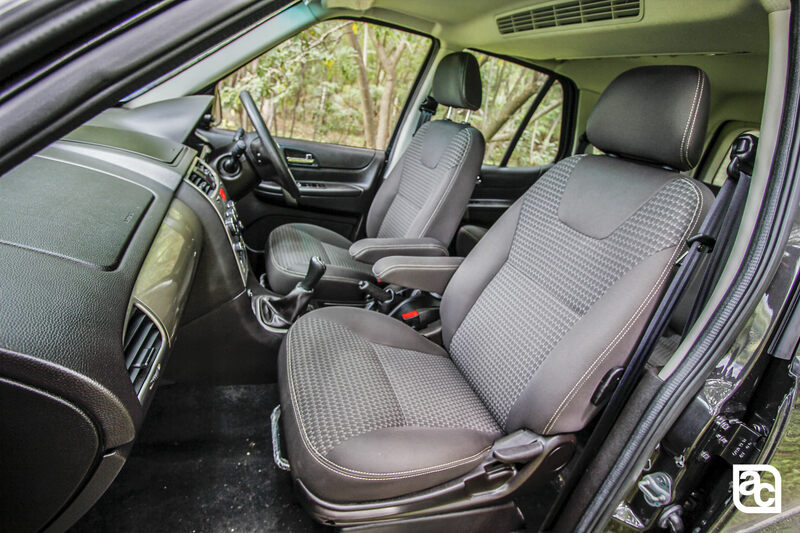 The jump seats at last are comfortable for kids with not enough leg room for adults. There is enough amount of storage space and the AC is up to mark. 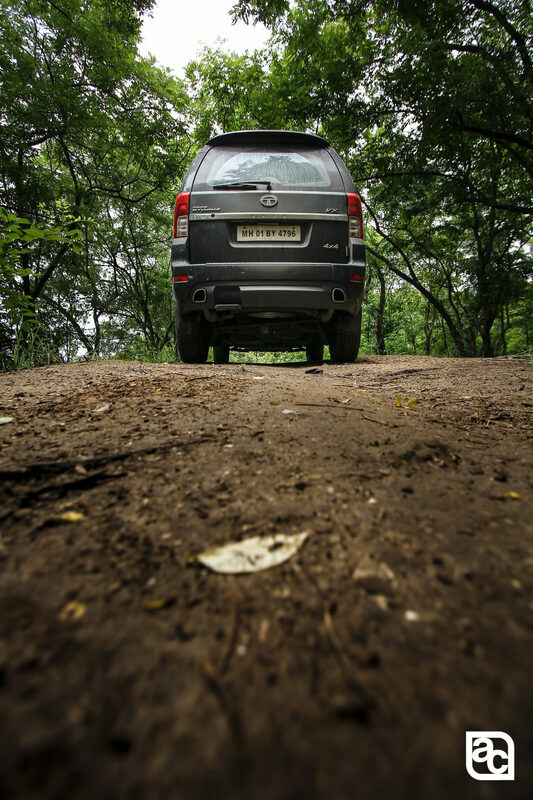 Driving the car, clutch travel seemed a lot more than required, but I got used to it with time. 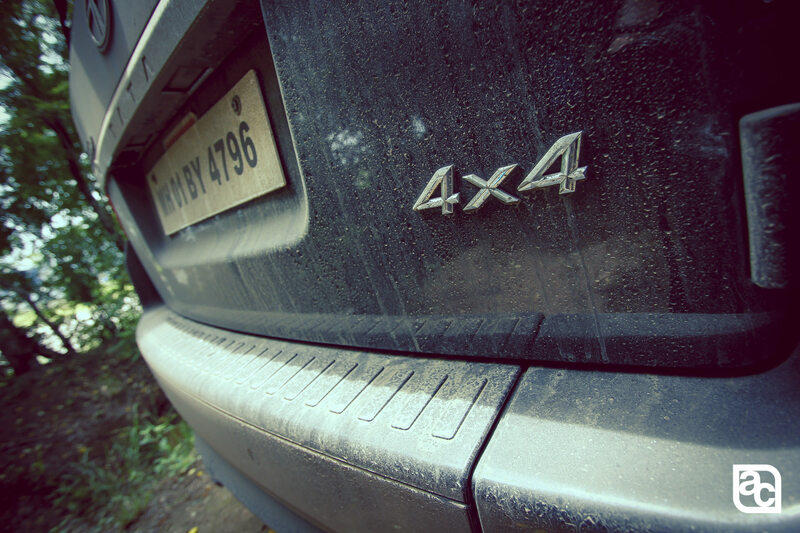 Getting out of the heavy traffic in the city made me grumble about the gearbox. 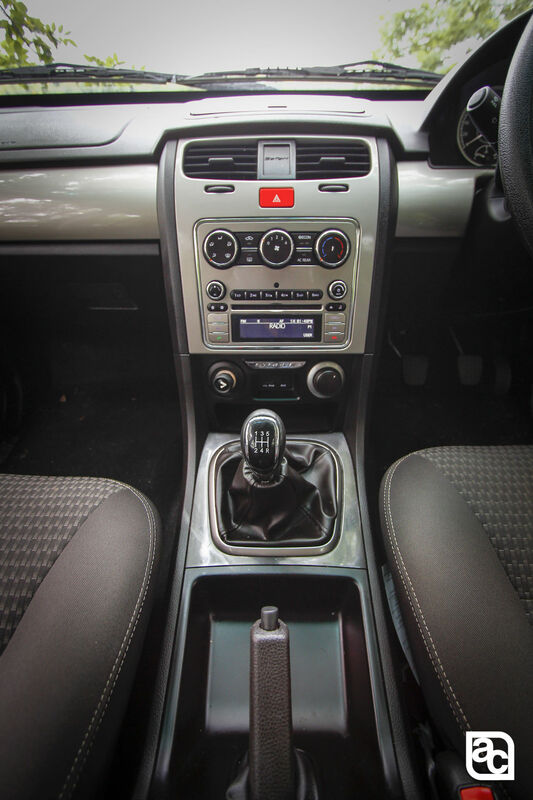 Constant gear changes did kill my initial excitement about the car. 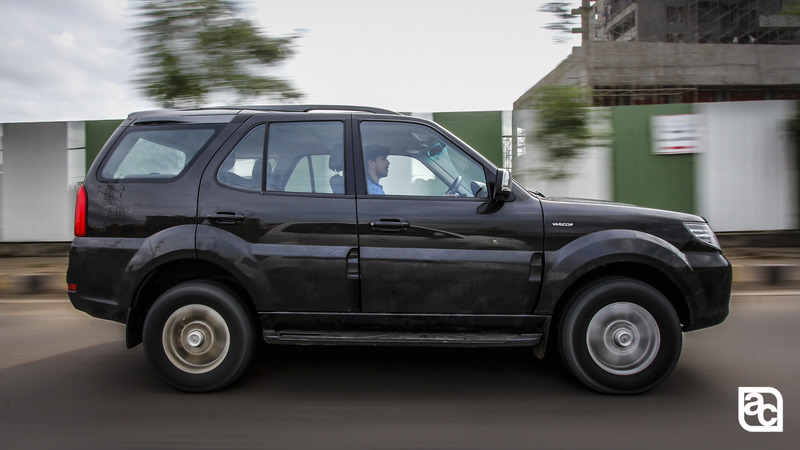 But as soon as I hit the highways, this heavy SUV cruised along effortlessly. The steering felt nice to grip and was giving enough feedback making me push it more. However, the body roll made me get off the throttle instinctively on turns. 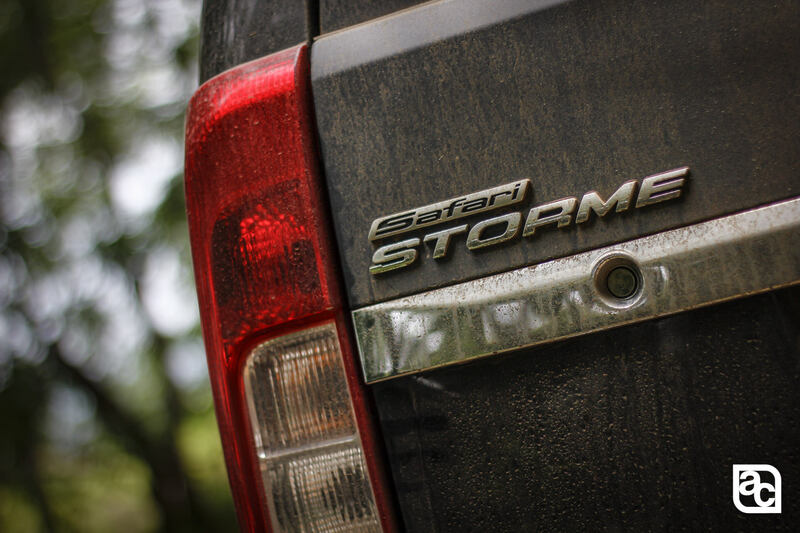 We had the Safari Storme VX 4×4, the best of all Storme variants. 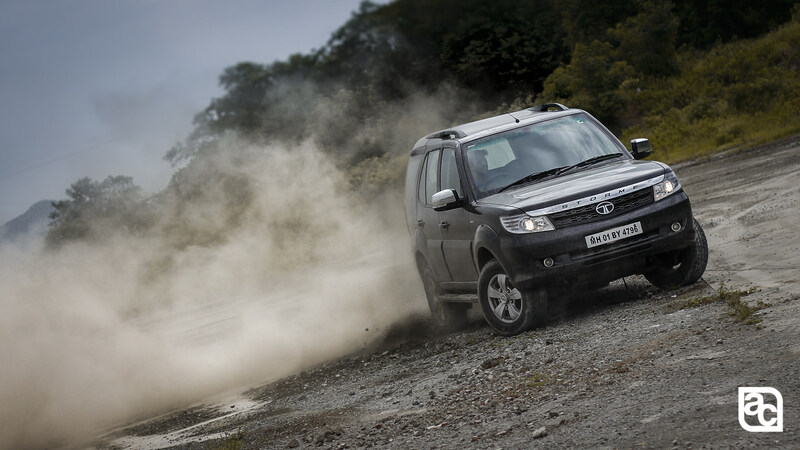 With the new improved version of the 2.2-litre VariCOR diesel mill, the output has been upped from 140bhp to 148bhp of power and 320Nm of torque. VariCOR is more of a marketing ploy rather than any technological advancement. 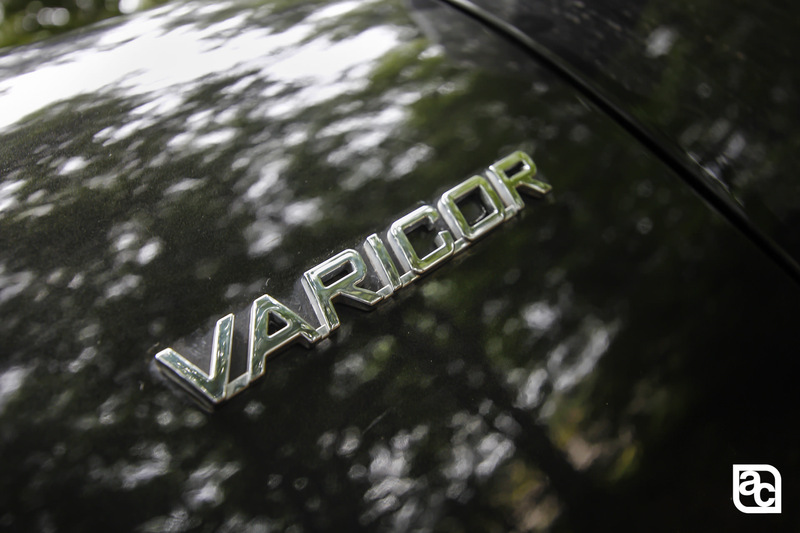 In the previous version, Dicor 2.2 VTT stood for Direct injection common rail 2.2 with variable turbine technology. 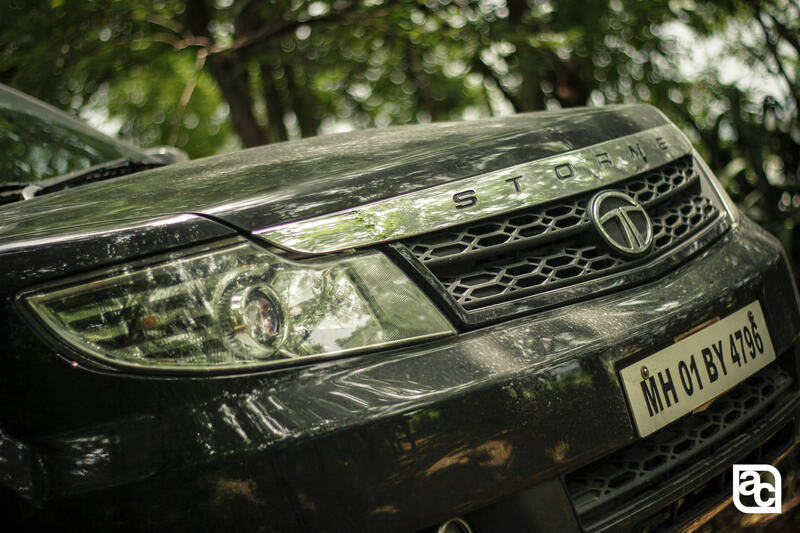 The Storme’s engine is the same 2.2 Varicor VTT. 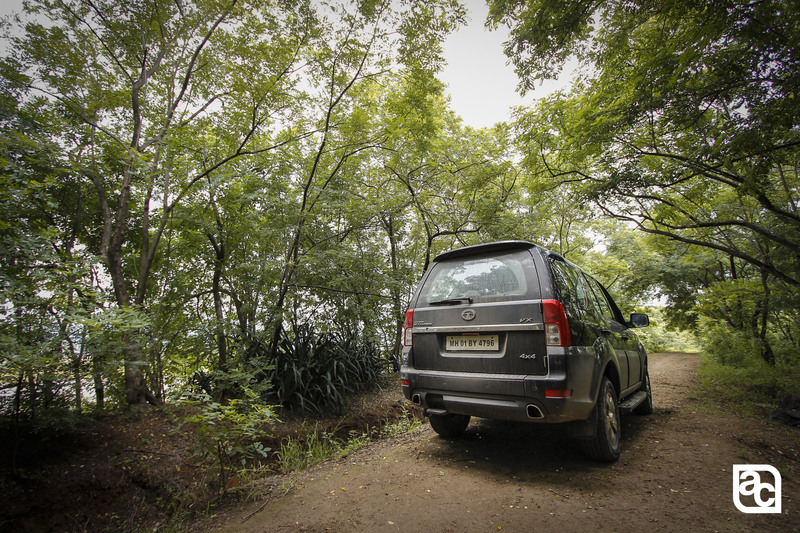 2.2 diesel with variable geometry turbo which is essentially same as VTT. The only change that has been made is the ECU mapping tuned for better fuel efficiency and better power delivery, reducing the turbo lag. 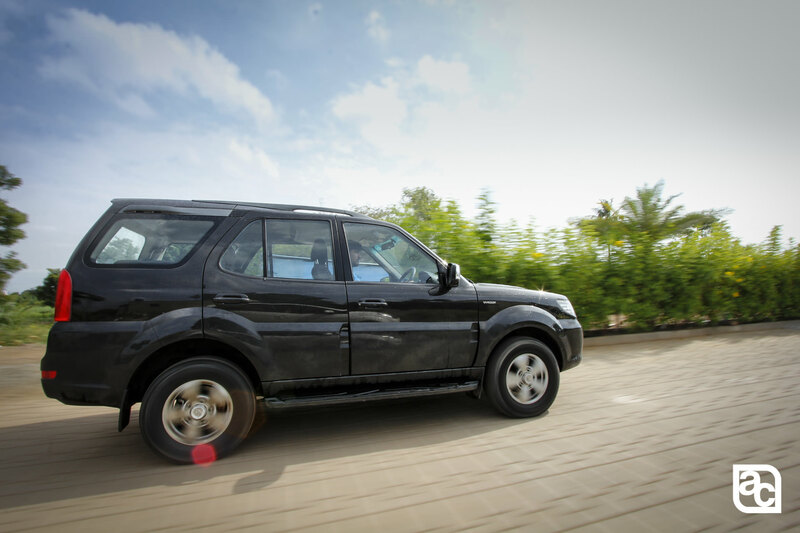 This motor continues with five-speed manual transmission from the older model. The suspension set-up is the same from the previous iteration, with which we are quite happy. 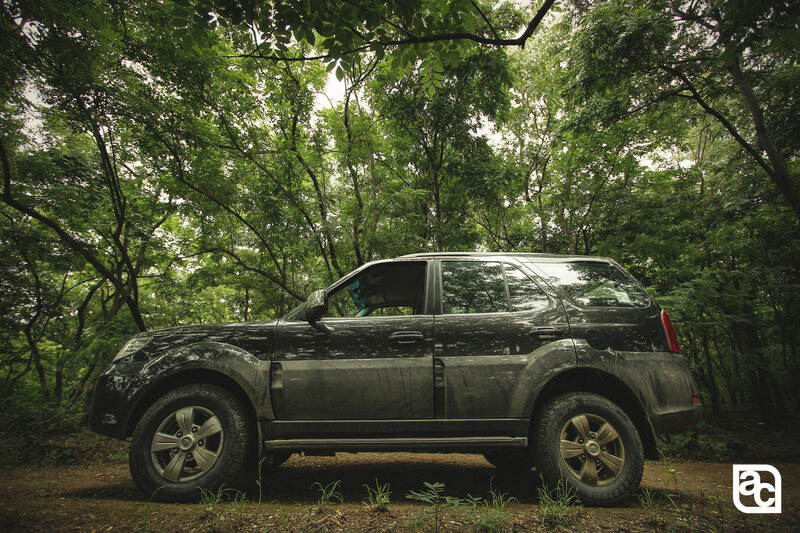 The drive seems average until you go off-road. 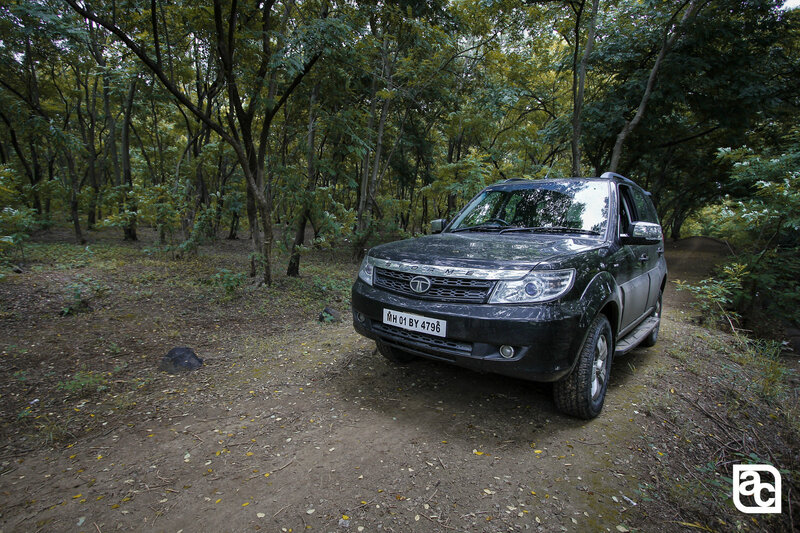 This is where the Safari is in its element. I absolutely loved its ability to handle itself in the jungle. 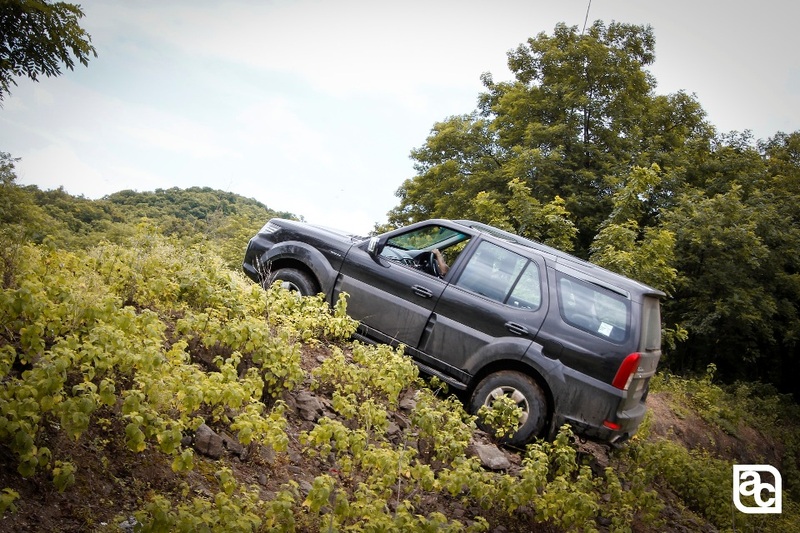 Never did I worry about the ground clearance and climbing up the hill. 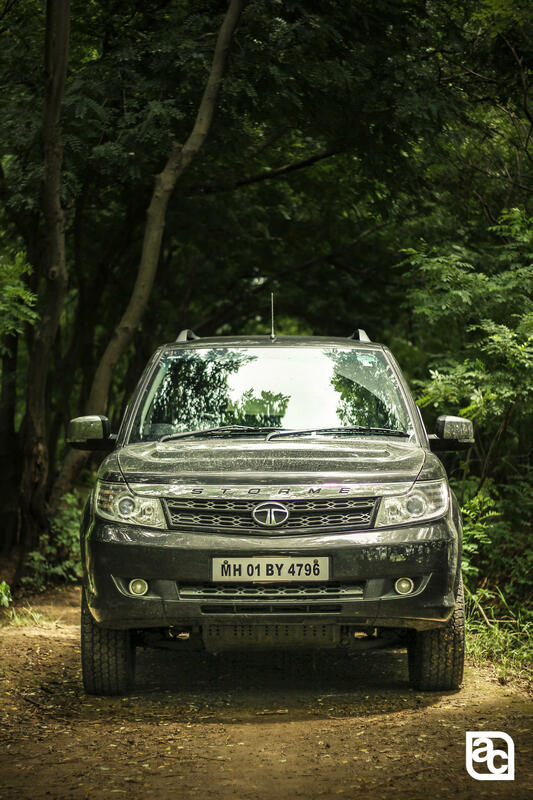 I had a lot of fun with this 2-tonne beast. We punished it, climbing places which no sane person would think of doing. 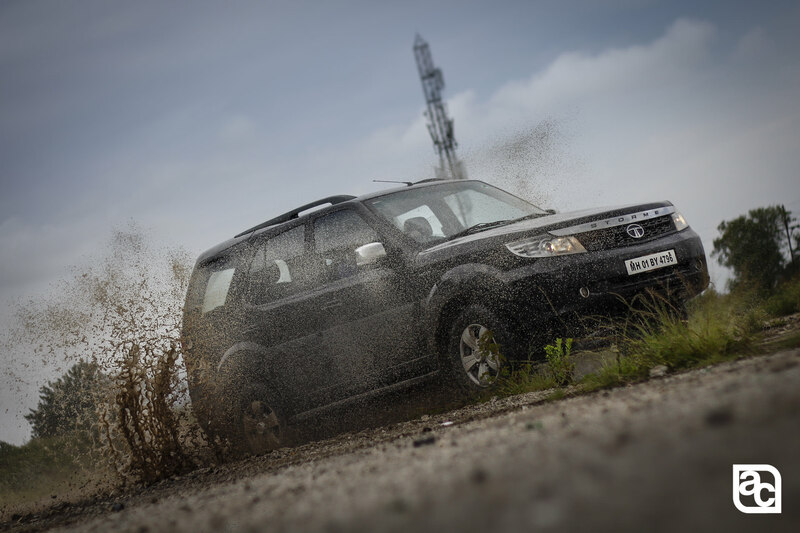 But the Storme came out with flying colours. 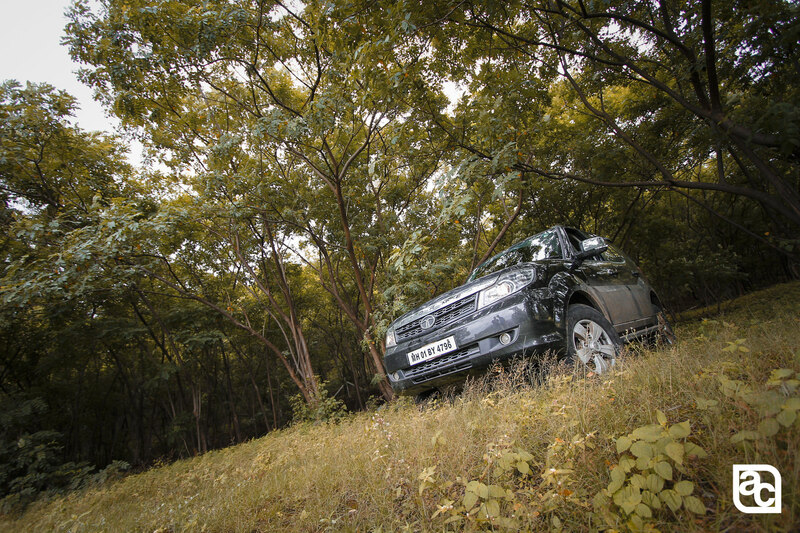 Never did it fail any task, in fact, exceeded all our expectations with the 4WD. 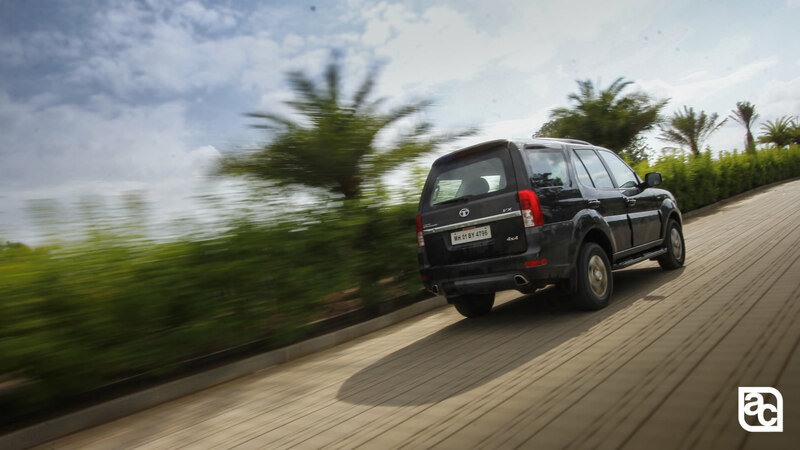 Tata has provided a knob to switch the SUV to 4L, 4H and 2WD to convert it rear wheel drive only. 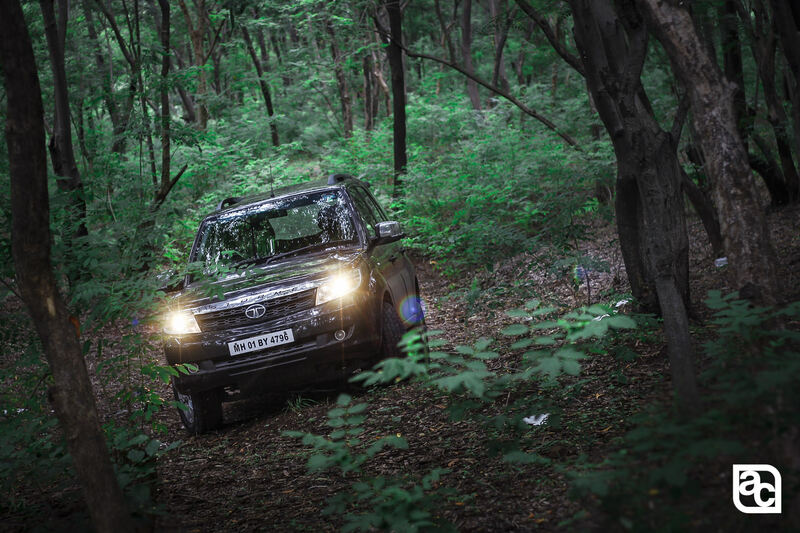 4L is used when you need low torque, for example when stuck in mud whereas 4H is the regular 4WD. 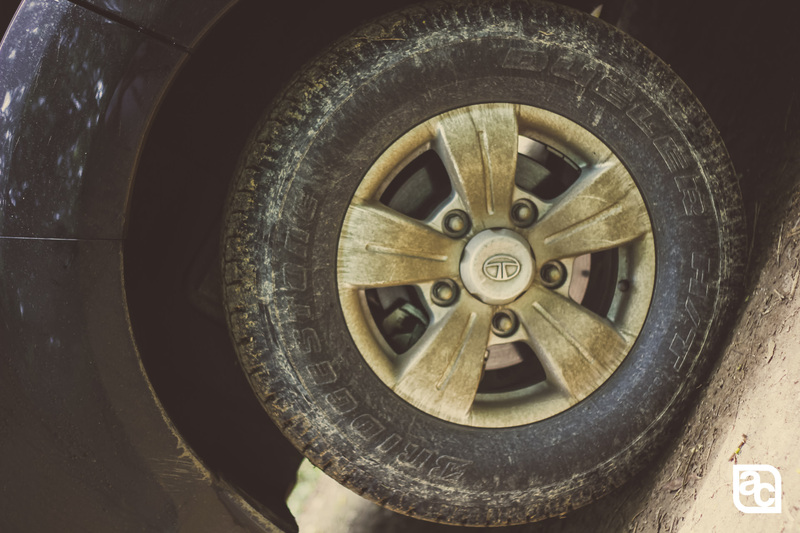 The Safari Storme is like an elephant. 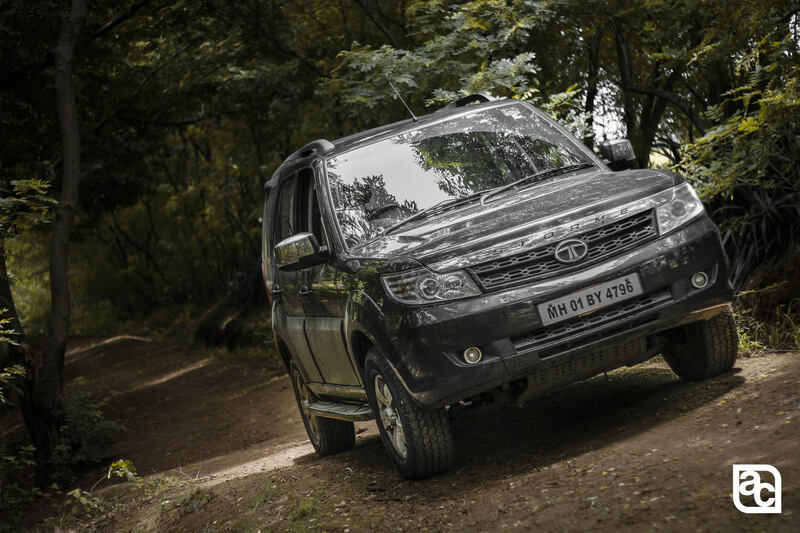 You sit higher, have a road presence and can drive through any terrain without any issues. But the question is how many times would you hitch a ride on an elephant? Not too often. Would you like to be seen with a homely elephant or a wild Cheetah? I know my answer for sure. 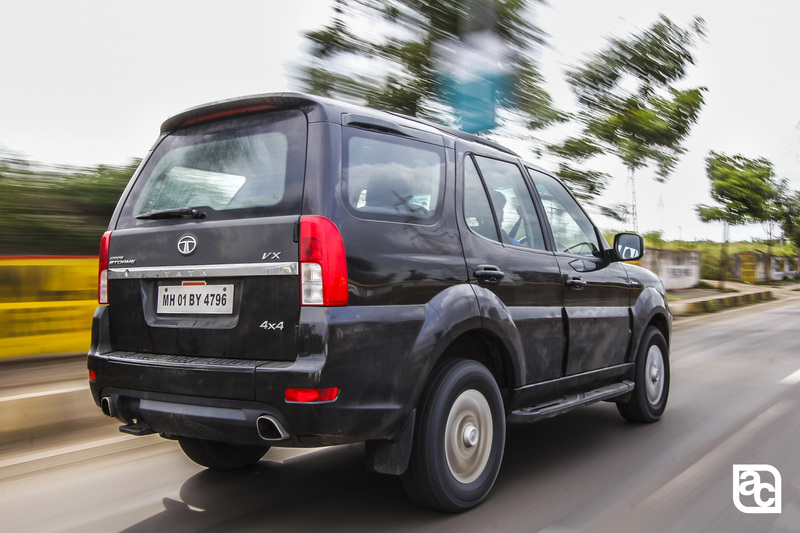 Tata needs to completely start from scratch with the Safari and come up with a lot more in order to demand customer attention. Until then the Cheetah would keep hunting!! Here’s all You Should Know About The all New Yamaha Fascino!